At Telschow Johnson Law PLLC, located in Fort Worth, Texas, we counsel older adults and their family members as they navigate advanced care planning and other challenging elder law issues. Our lead attorney is a member of the Texas National Academy of Elder Law Attorneys, and our law office has focused on this area for over 15 years. This background enables us to work closely with our clients to achieve their long-term objectives and allow them to maintain control over their lives. If an estate plan has not been completed when a person passes away, state law determines how his or her assets will be distributed among heirs. We help clients avoid this undesirable outcome by leveraging our knowledge of asset protection to draft wills, establish living trusts and conduct tax planning. Throughout each process, our law office helps clients appraise all available options and make fully informed decisions. 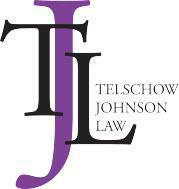 Our team at Telschow Johnson Law PLLC also assists people in seeking guardianship of loved ones who have become incapacitated and can no longer make important decisions. Additionally, our law office offers guidance to heirs and estate executors who are handling the probate process in any part of Tarrant County. To make our assistance more accessible, we take credit card payments for all of these services.